Moments with the Mays: Project: computer room. 1. It was the baby junk graveyard for a long time. All of G's things he grew out of ended up in there. 2. It has a desk that I am not fond of...and tends to be a major dust collector. 3. It's unorganized and not functional. 4. It doesn't have an overhead light. what in the world?? who builds a house with no light? I would love a table desk! This table desk is from Ballard's...which I think is the greatest catalog to browse ever. I like how much space it has on top. Room for mail, a laptop, an ipad, and other things one might use a desk for. Oh, and I love the pretty cork board in that background! The teacher in me LOVES a cork board to put fun push pins on! I need shelves. We have a bare wall that I envision 3 ladder shelves. When you have shelves..you have a place to put fun things you can buy at other stores...it's a cycle-ha! Don't even get me started on the chihuahua wall art from Ballard's!! I already said I like cork boards. These are actually magnet boards from, take a wild guess, BALLARD'S! I want to make these using cork tiles. I've done this before for my classroom and it is SO easy & so cheap. I need more places to keep my little man's artwork! I would also love to find a chair with a fun & bold print. I would like to have a "Loma" space where I can read books and blogs. I'm on the hunt. Any ideas? Oh my gosh! 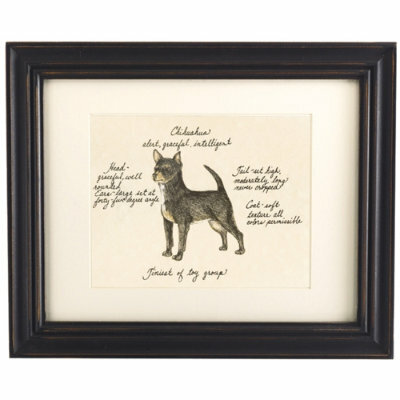 I need that chihuahua print! Off to look for it!! Ooohhh I love those magnet boards! So cute! I love Ballard! Our office area is tiny so we had to go with a desk armoire but I love all the great ideas you have for your space. The memo boards are adorable! You can use the ladder in the hallway and get another and put them in the office. Don't buy an expensive desk, use the small desk you don't like and by a counter top and put it on top of it. That's what we're doing for the basement. 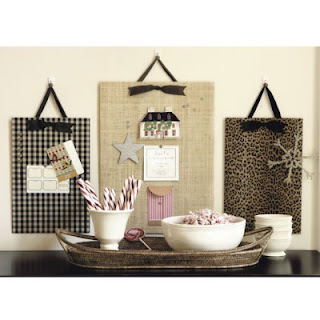 I saw cute ideas on how to hang kid art with a simple wire and clothes pins from one corner to the next, like you would hang a pennant. (I will show you some pics via FB) ohhhh fun times! Great ideas- I also LOVE Ballard!! To browse only, for the most part, haha. Check out out their outlet if you are ever close to one! We found some awesome deals there. Pier 1 has some super cute chairs that are modern and have lots of fun prints!!! We lost our home office when our little girl arrived and now its located in a nook in our house - neither my hubs or I like it there. Can't wait to see what you decide on! 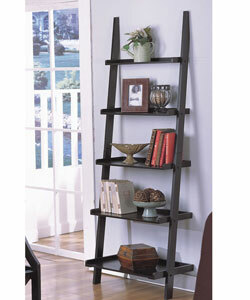 Love love love the ladder shelves and I'm looking for some too for my bonus room actually so if you find some at a good deal, please let me know.